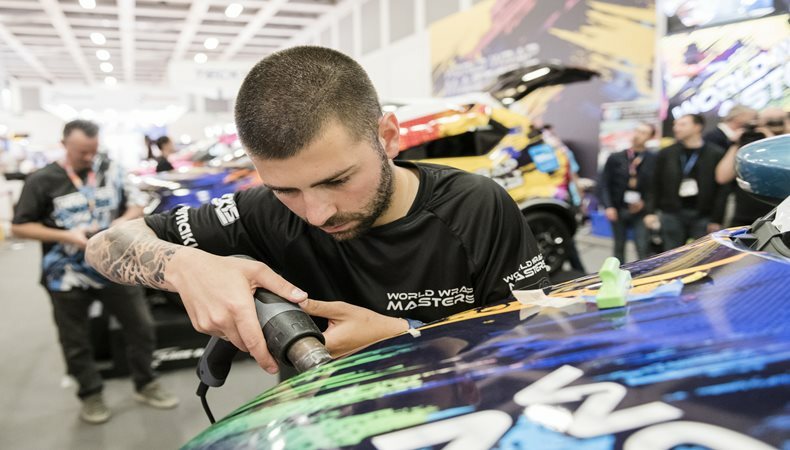 The FESPA World Wrap Masters Series is sponsored by Hexis and ran throughout the year, concluding with two events at FESPA 2018 between 15 and 18 May. The competition began on 15th and 16th May with the last regional qualifying competition, the World Wrap Masters Europe. 42 international competitors, including entrants from Japan and Australia, battled it out in a series of timed tasks, including wrapping vehicle sections, chairs and lockers. Stan Cosmin from Romania won the European competition, with Martynas Bertulis from Ireland and Casper Madsen from Denmark coming in second and third place.